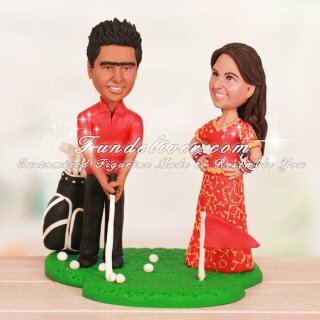 This is a completely customized groom playing golf shot with Indian bride wedding cake topper ordered by one of our customers. 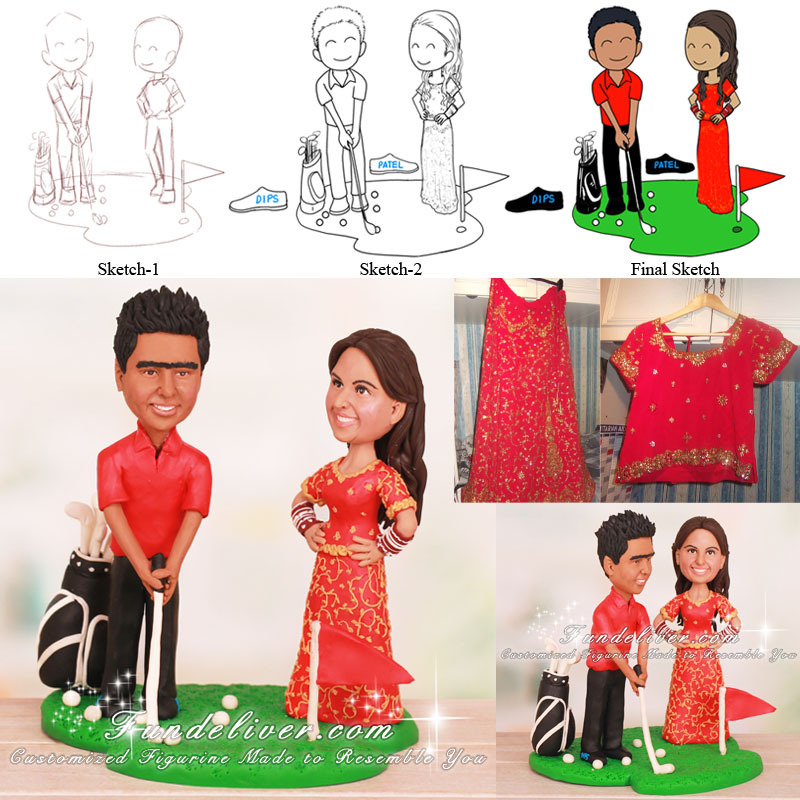 The groom is slightly golf mad, so they would like the groom to be playing a golf shot in golf attire and the bride to be in her red Indian dress with her hands on her hips. Both of them are standing on a grass base with golf balls scattered at their feet and a hole with red flag in it.